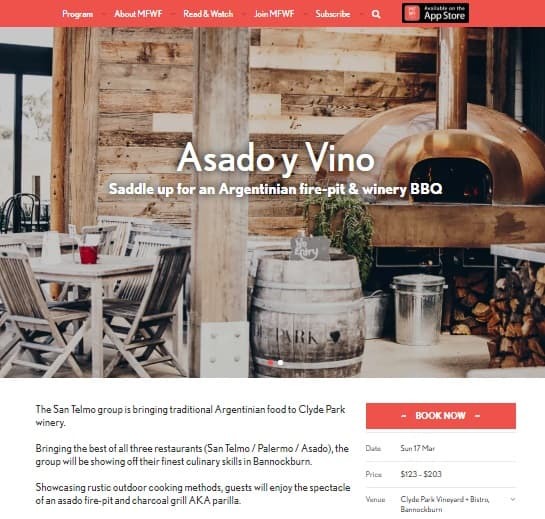 Clyde Park have teamed up with the San Telmo group to create “Asado y Vino” – Traditional Argentinian foods, with rustic cooking methods out on the Clyde Park terrace. Chefs Oliver Gould and Steven Clarke will curate a four course menu set overlooking the rolling hills and vineyards below, taking you on a trip through Argentina without leaving the Golden Plains. To celebrate, Clyde Park will be releasing the 2018 Sangiovese on this day. Enjoy beautiful charcoal grilled meats from the fire-pit matched with the premium cool climate Clyde Park wines. 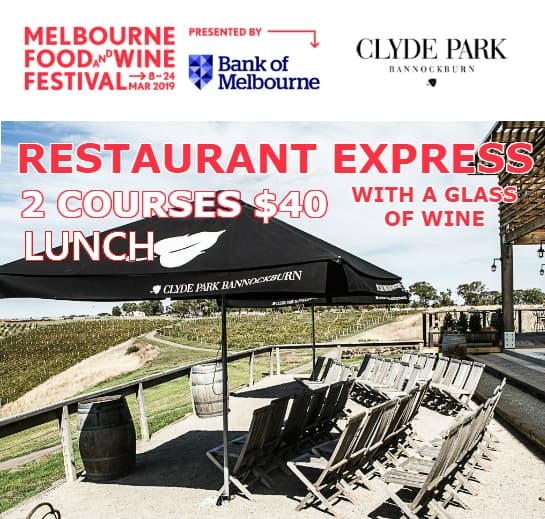 Clyde Park will also be hosting “Restaurant Express Lunch” during the Melbourne Food & Wine Festival. Drop into our cellar door and bistro to enjoy 2 lunch courses from our Restaurant Express menu, with an accompanying glass of wine for only $40 per person. To make a booking in our bistro, click here.